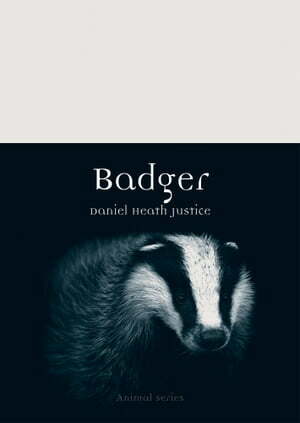 Collins Booksellers - Badger by Daniel Heath Justice, 9781780233833. Buy this book online. Fierce, menacing, and mysterious, badgers have fascinated humans as living animals, abstract symbols, or commercial resources for thousands of years—often to their detriment. With their reputation for determined self-defense, they have been brutalized by hunters and sportsmen, while their association with the mythic underworld has made them idealized symbols of earth-based wisdom and their burrowing habits have resulted in their widespread persecution as pests. In this highly illustrated book, Daniel Heath Justice provides the first global cultural history of the badger in over thirty years. From the iconic European badger and its North American kin to the African honey badger and Southeast Asian hog badger, Justice considers the badger’s evolution and widespread distribution alongside its current, often-imperiled status throughout the world. He travels from natural history and life in the wild to the folklore, legends, and spiritual beliefs that badgers continue to inspire, while also exploring their representation and exploitation in industry, religion, and the arts. Tracing the complex and contradictory ways in which this fascinating animal endures, Badger will appeal to anyone interested in a deeper understanding of these much-maligned creatures.